Let’s walk through the exciting innovation and key developments in each product. Advertising Studio’s forte is ‘Smart Digital Advertising’, which means displaying ads to the best channel, with optimal messaging, according to the prospect’s segment. You know can also leverage ‘lookalike audiences’ to automatically group prospects according to their demographic information, and match new ones to the best segment. Pardot has been jewel of B2B marketing on the Salesforce Platform, and will continue to be the cornerstone for marketers. 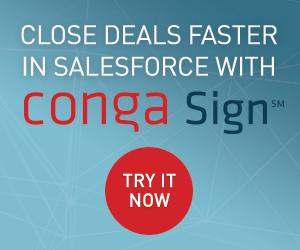 The product will undergo some construction and a makeover to be seamlessly connected with Salesforce. Most Pardot users know that the Salesforce connector has its caveats and nuances, but these will be thing of the past when more CRM/Pardot objects become aligned. 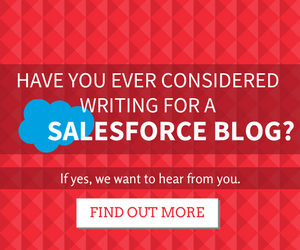 Becoming more embedded in Salesforce is a major, positive development for Pardot users. Left: new campaign object that Pardot/Salesforce will have in common, including progress chevron. Right: Engagement Studio, accessed from the Salesforce interface. Demo included ‘Einstein Lead Score’ as an engagement step in the flow. The most important example of object alignment is Campaigns: Salesforce Campaigns and Pardot Campaigns will become one object, a common source of confusion for newbies and in reporting (shown in picture above). Engagement Studio will now have a Chatter embedded in the sidebar for team collaboration – encouraging Salesforce users to participate in the campaign building and iteration phase. ‘Smart Forms’ were featured too, to ‘keep your forms short and your visitors happy’, using Pardot form functionality (dependent fields & progressive profiling). Einstein Lead Scoring: based on ‘Top Positive Factors’, demographic or activity data, that are used to calculate the score relative to what Einstein has identified as leading to conversion and success in the past. Einstein Account Insights: picks up on mentions of the account in the new, or relevant trending content. Great asset for account-based marketing (ABM) to strike while the iron is hot for targeted, timely messaging. Einstein Activity Capture: see the Engagement History at the individual or Account-level, automatically associated to the correct Salesforce record from a number of sources, such as Gmail and Pardot. Einstein Opportunity Insights – NEW! Similar to Lead Scoring, as it’s based on ‘Top Positive Factors’. Some examples can include, the best time for the account to purchase, high success rate of a lead source. Left to right: Einstein Lead Scoring, Einstein Account Insights, Einstein Activity Capture, Einstein Opportunity Insights. Salesforce Engage has been the bridge between sales and marketing since Spring 2015, and now has a crucial new role in promoting Salesforce’s new strategy. 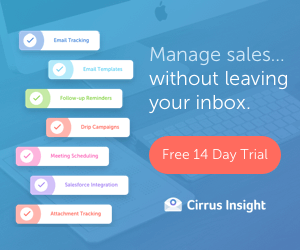 As a Pardot add-on that lives in Sales Cloud, it allows Sales to send marketing curated campaigns, and follow-up rapidly on prospect activity with Engage Alerts. New features include ‘send on behalf of’ and Engage for Outlook (meaning sales don’t even have to leave their inbox)! Prospect engagement trends shown geographically on a heat map analytics tool, with the ability for multi-dimensional filtering. The future of Pardot has been unveiled as part of the vision of Salesforce for B2B Marketing. During the keynote, we were shown the power of this supercharged suite through feature highlights and customer demos, that rooted the value of these products, as a set for customers. There will be much more coming our way in the first half of 2018, once the features that are currently in pilot start becoming generally available. Clever swag: ‘The Perfect Pair: Marketing that Sales Teams Love’, a continuation of Salesforce’s strategy to marry up marketing and sales teams, to create one cohesive unit. Previous Post: Salesforce & Google Partnership: Who Gains What? Next Post: Standard Lightning Components to Implement Now!